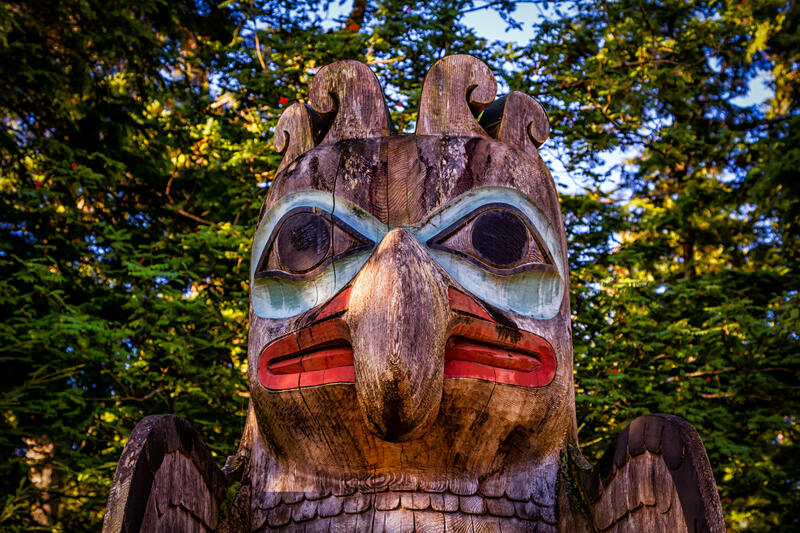 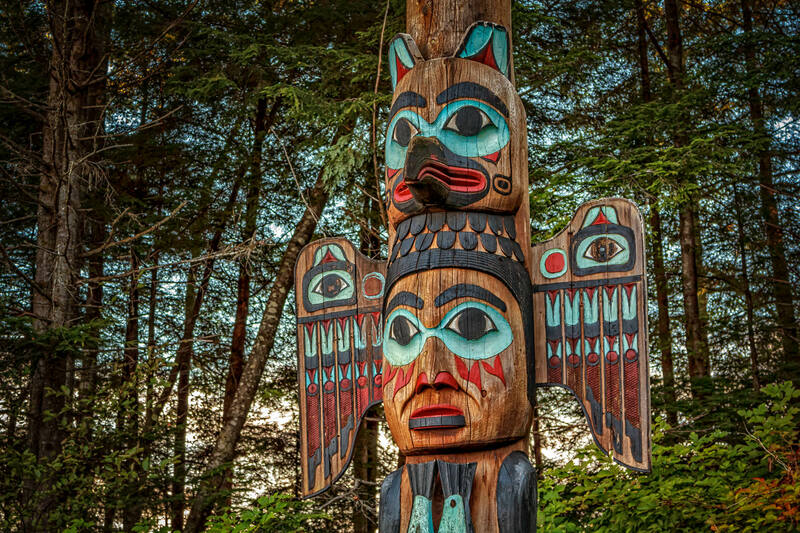 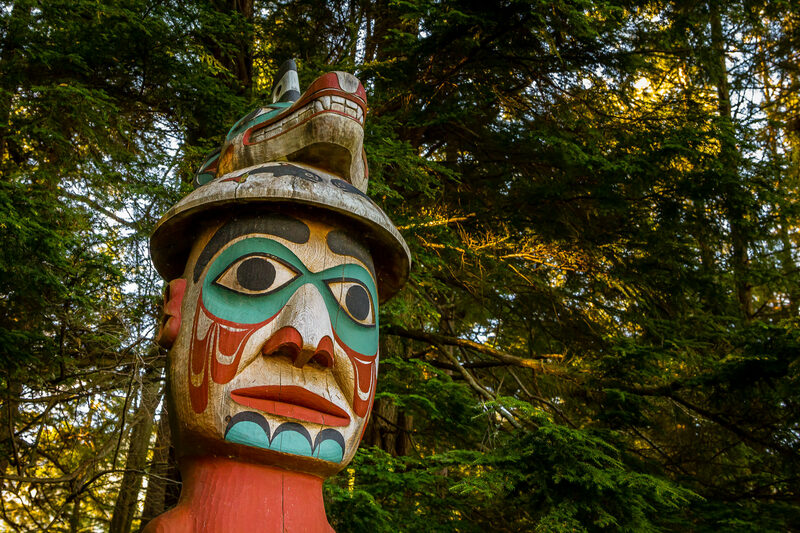 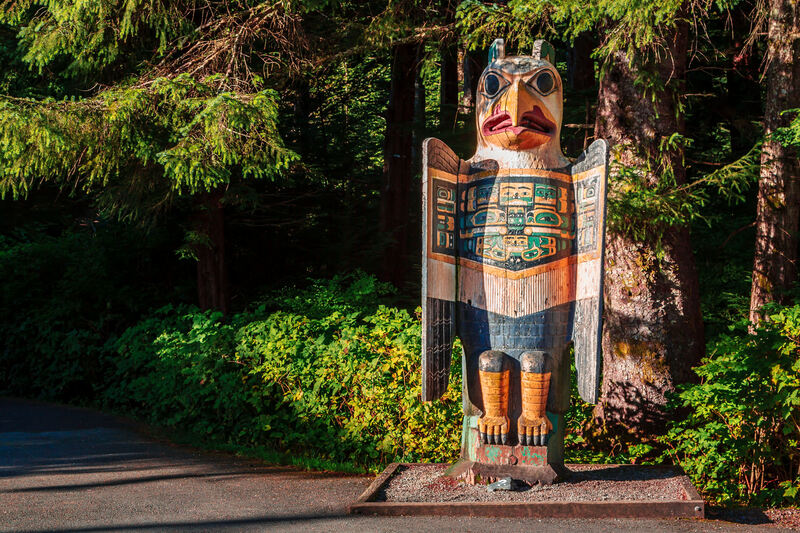 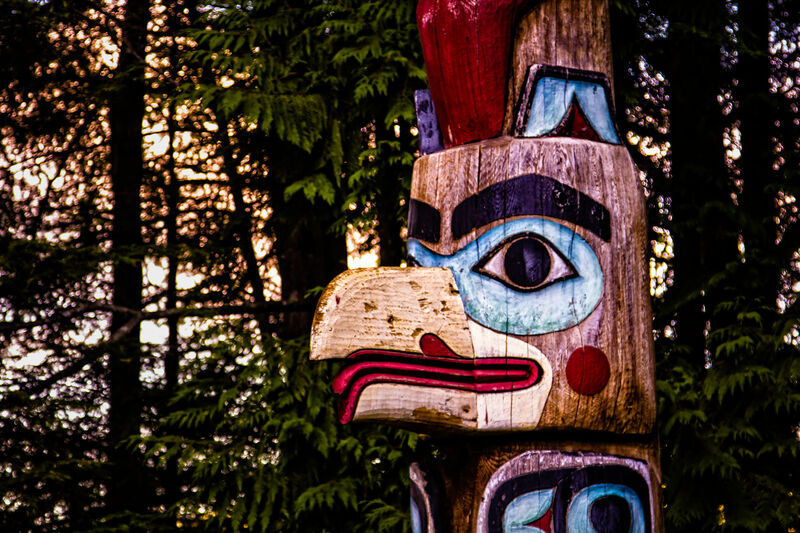 The Kadjuk Bird Pole at Ketchikan, Alaska’s Totem Bight State Park depicts Raven forming the headdress of his wife, the Fog Woman, as she holds two salmon. 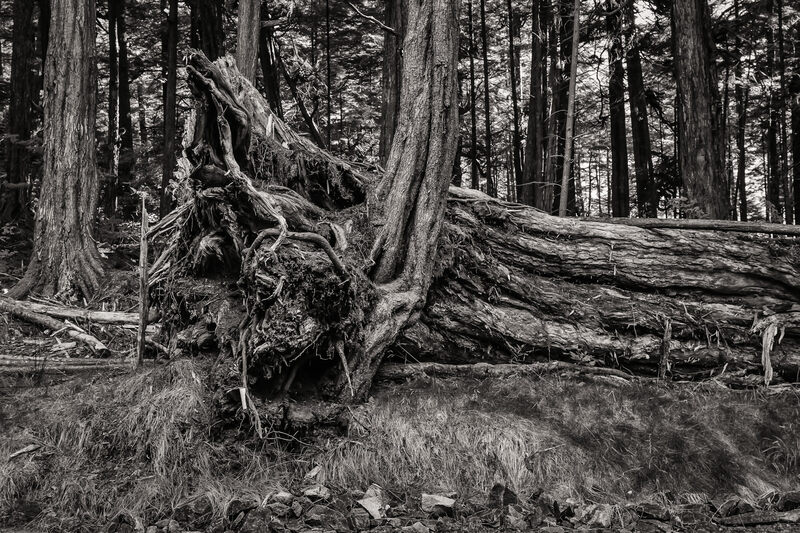 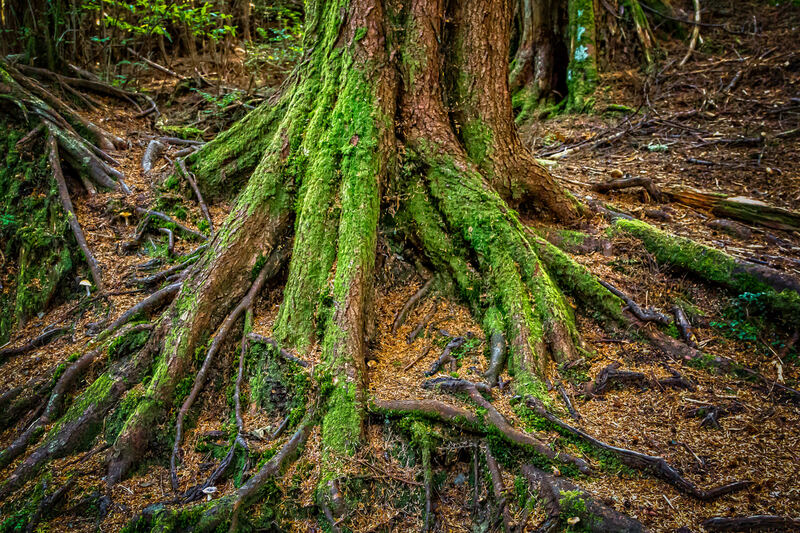 Moss-covered tree roots found at Totem Bight State Park in Ketchikan, Alaska. 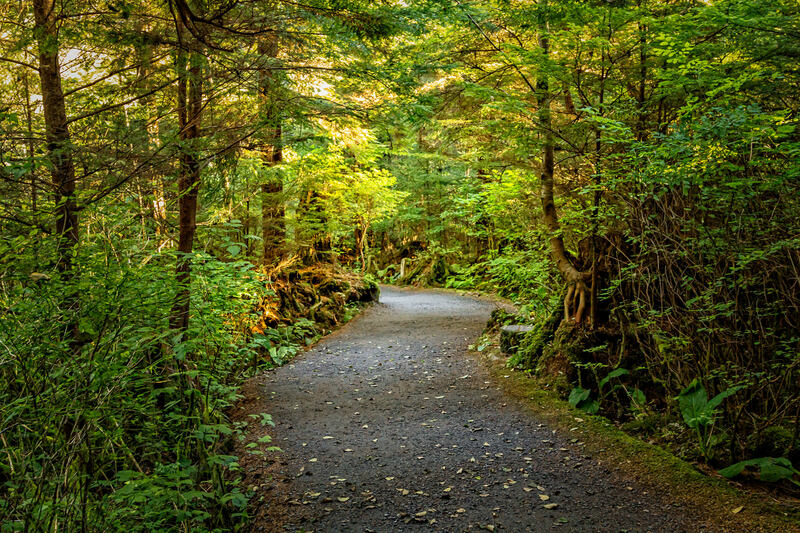 Sunlight illuminates the trees along a path through Ketchikan, Alaska’s Totem Bight State Park.